As a little girl, I remember watching Dorothy Hamill skate in the 1976 Olympics. I remember being enamored with ice skating after watching the 1976 Winter Olympics. I wanted to become an ice skater like Dorothy Hamill. It wasn't until approximately 3 or 4 years later that I ever set foot inside an ice skating rink and took my very first ice skating lesson. I loved ice skating and taking lessons. But my ice skating lessons were short lived as my mom was a single parent at the time with limited funds for lessons, ice skates, and so on. Additionally, we'd moved far from an ice skating rink, so my ice skating days came to an end. However, I feel blessed for the ice skating lessons I did take and the time spent ice skating. 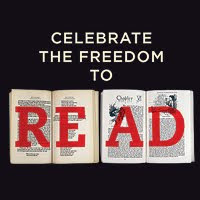 When I came across the paperback edition of A Skating Life: My Story by Dorothy Hamill at a bookstore back in October 2012, I could't resist adding it to my ever growing 'to be read' pile of books. Unfortunately, I didn't make the time to read A Skating Life: My Story until this year. Other than knowing that Dorothy Hamill won an Olympic gold medal for figure skating in 1976, I knew nothing about her personal or professional life at all. So, reading Dorothy Hamill's memoir shed a lot of new to me facts about her life. 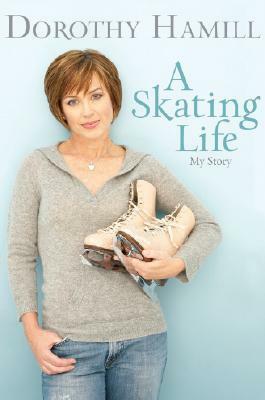 The major complaint I have about A Skating Life: My Story by Dorothy Hamill is the writing. It was a bit bumpy at times. I'm surprised this memoir wasn't written better, especially considering that Ms. Hamill had help writing her memoir. The dazzling smile, the signature haircut, the staple spin. "America's Sweetheart" Dorothy Hamill grew up on the ice, working toward the dream she was to accomplish by age nineteen: winning Olympic gold in figure skating. But life was not the picture of perfection it appeared to be. 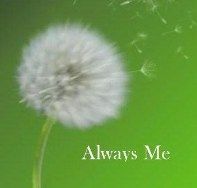 Dorothy faced a painful inner struggle from the time she was a young girl that followed her into adulthood--though she would not know about the depression that ran in her family until much later in life. Weeks and months away from home to train and compete took a difficult toll, yet little reprieve could be found in the tumultuous and fragile relationship she had with her parents. Dorothy went on to marry the man of her dreams, only to have the partnership end in heartache and a tragedy that almost pushed her to her breaking point. Then, just when a light at the end of the tunnel finally began to appear, a second failed marriage tried and tested Dorothy's trust and strength yet again--a travesty that could have led her to give up. But, she found a remarkable strength in what she did have--her greatest love, her daughter Alexandra. I'm giving A Skating Life: My Story by Dorothy Hamill a rating of 3 stars out of 5 stars. I love figure skating. I used to go to a charity event (Toys for Tots) every Christmas that featured ice skating. I loved those. I keep my eyes peeled every time those events are shown on TV. Too bad this memoir wasn't written better. Glad to see another lover of figure skating out there!! I think this book is still worth a read if you are a Dorothy Hamill fan or figure skating lover in general despite the bumps in the road for this memoir. I love biographies and autobiographies! I have found that some of the ones by and about celebrities are poorly written. I wonder why that is. It's sad when celebrity memoirs are poorly written!! Bryan Cranston's memoir was one of my favorite celebrity memoirs in recent years that I read.